This year’s Cup North was slower and more relaxed than in previous years, less sirens, less amped up music and as Brian Williams pointed out it was warmer too. Warmer not just in ambient temperature, but in spirits and that oh so intangible of currencies, conversation. The coffee’s great, it’s almost always great at festivals these days, cups of excellence and bags of unusual microlots for showcasing the length and breadth of specialty coffee’s extremes and well it wouldn’t be a coffee festival without it, but to my mind as good as the coffee is, it’s not necessarily the most valuable thing on offer. Coffee, it seems to me, is somewhat of a vocational calling and it appears to attract some pretty passionate individuals, the kind who talk about hard work, difficulty and problem solving all through the encouraging smile on their face, they’re interested and interesting all at the same time. 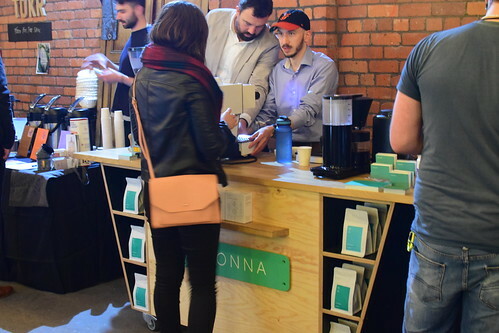 It’s these people that are the real gems of a coffee festival and so while I might mention the odd geisha or natural microlot from time to time, this article is dedicated to those people, those conversations and to those at Cup North who make this kind of thing possible. 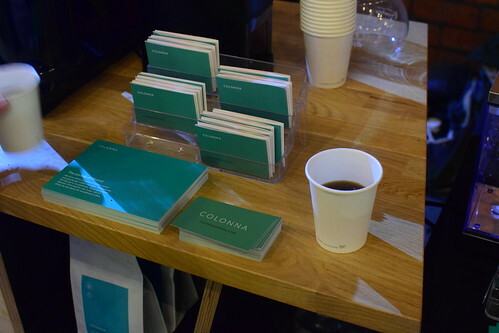 Arriving into the festival, we headed in search of our first cup of coffee and found ourselves gravitating towards the green, blue and turquoise colour landscape of Colonna Coffee. We wanted to talk pods, but for now we were interested in kicking off with some filter, a Hartmann natural pacamara microlot from Panama to be precise. Wonderful in flavour profile, although unfortunately only available through Barista Hustle’s Superlatives series, this was a cup to be enjoyed as a fleeting fancy, as we stumbled into conversation about coffee pods and pod machines. The time of dismissing coffee pods as a viable vehicle for coffee are over, pods are almost ubiquitous now and it would seem that Tassimo and Nespresso have cornered the market for cups of convenient coffee, but with more and more people adopting this technology there’s also more demand for ethical sourcing and distinctive flavour profiles. 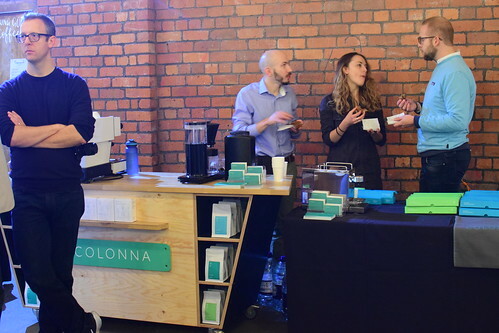 That’s where Colonna come in, offering a range of pods to cater to different tastes and demands. In order to make their coffee not only distinctive, but accessible they’ve released three ranges of pods, light green for their foundation range, dark green for their discovery range and finally blue for their rare range. Sounds simple, but it’s not. Before figuring out that coffees perform differently in pods, before roasting for pod extraction, recalibrating machines from factory settings and working out which, from many of the available machines will perform best and then filling it with the right kind of water, there’s the primary concern of how to get your coffee into pods in the first place. There’s two main options in the UK for producing coffee capsules, Krups and Dualit and Colonna use both. Krups produce coffee pods for both the foundation and discovery range, creating oxygen free sealed plastic pods while allowing for a shorter production run. While Dualit are used to produce the compostable capsules, which in order to remain fresh are sealed in a secondary nitrogen flushed bag. So, where’s the issue exactly? Well, in order to produce a run of compostable capsules, Dualit require a minimum order of 50,000 capsules. At 6g a capsule that’s 300,000g of coffee or in simpler terms 300kg of roasted coffee. Which creates issues, not only will creating a rare coffee compostable raise the price of your individual pods, both by the price of coffee and production, but you will need to source a minimum of 300kg of green coffee and roast it all. The idea of a rare microlot coffee ending up in a compostable coffee pod is therefore a non starter, not to mention the difficulty of roasting 300kg of coffee on a 12kg roaster in batches of 9kg a time, that’s a hell of a lot of roasting. So what does it take to provide a rare palate provoking coffee in a compostable pod, that stays fresh and affordable for your everyday convenience? Nothing short of a small miracle apparently. We left the team at Colonna to round up some breakfast cake from Cakesmiths, while we headed over to Origin Coffee for their Geisha tasting. Joshua Tarlo, welcomed us to the stand to talk about Origin’s new special edition Geishas, one old, one new. The Peterson’s Family Esmeralda Geisha, ought to need no introduction having been the original Panama Geisha that began the explosion of Geisha varietals in Panama. I’ve tried this coffee in various forms over the years, but this particular brew had noticeable definition and clarity, which is, no doubt, why it had made it into the collection. Finca Nuguo’s Honey processed Lot 4 on the other hand was a new Geisha to me and Joshua’s favourite from the cupping table, offering interesting more typical coffee flavours than I’ve experienced from a geisha. Discussing the qualities a honey process can bring to a geisha, Joshua went on to talk about acid fermentation and another interesting Geisha from La Negrita in Colombia. Geisha was once the innovation to the coffee world that competitors in the brewers cup needed, it produced new coffees out of Panama with clarity and definition that allowed competitors to clearly and accurately explain the coffees they were brewing, but innovation as much as it might happen by accident, seems to continue on regardless of the innovation that came before it. Mauricio Shattah and his work at La Negrita, might be that next line of innovation to coffee. We’re used to washed and natural processing, but how about using your own enzymes to begin fermentation rather than the natural or local bacteria in the air. How about going one step further and adding your own acids to the fermentation tank to affect the organic compounds and their interactions during the fermentation process encouraging acid development in the coffee. This might sound outrageous to clean cuppers, but these kind of processes have existed and been accepted in wine making for a long time. Geishas might be top of the brewers cup selections for now, but don’t be surprised to find innovation bringing and offering something new to take their place. 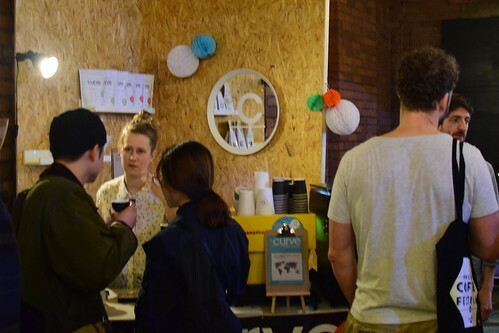 It just wouldn’t be Cup North without Heart & Graft Roastery, their coffee, their elaborate stands and their fascinating story telling. 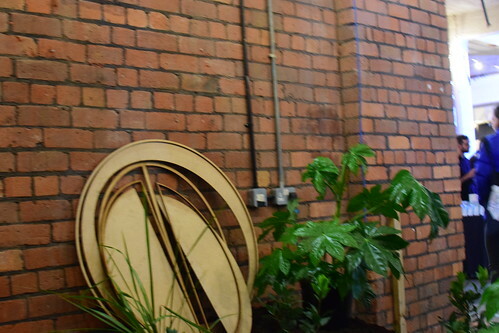 This year was no exception and their chosen theme was ‘Where does coffee come from?’, which helped to explain the mound of earth and coffee plants that took up a sizeable area on the end of their stand. It’s important to remember that coffee is a plant that grows in the ground and not just that cup of black liquid that we enjoy drinking so much. It comes from somewhere and it’s grown by someone and it’s part of these global systems of commerce. Pouring us a cup of their Honduras Perez natural microlot grown by Miriam Perez and between photos of coffee producers playing fiddle in James’ flat, James began a story about soil. A story of Honduran soil that went beyond the usual pairings of flavour and terroir. His coffee producers had told him a tale of their soil, of this rich and lush soil that after 10 years of using conventional fertilizers had become unsustainable and longing to bring the land back to vibrancy again, had switched to organic fertilizers and growing practices. This change along with the addition of some biodiversity began to bring life back to the soil, to repair the top soil and in turn to bring life back to the land. The land now needed less fertilizer rather than more year on year. The fertilizer no longer ran off into the water table and the top soil was now able to sustain more life and that created more diversity of life on the farm. This helped to shade the growing coffee and eventually this healing of the land helped to improve the flavour of the coffee. This was a story more about farming and permaculture than it was about coffee, but the dedications of these farmers and their practices brought life to both their land and to their cup. 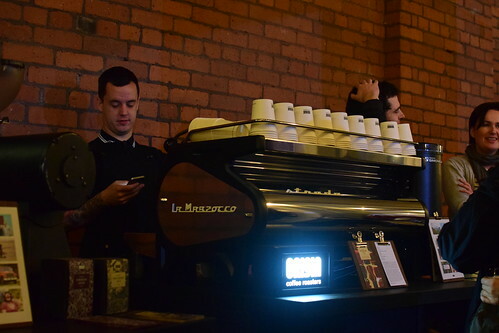 I always keep an eye out at festivals for roasters I haven’t had the pleasure of meeting before and while I’d seen Curve around social media I hadn’t had the pleasure of trying any of their coffee. 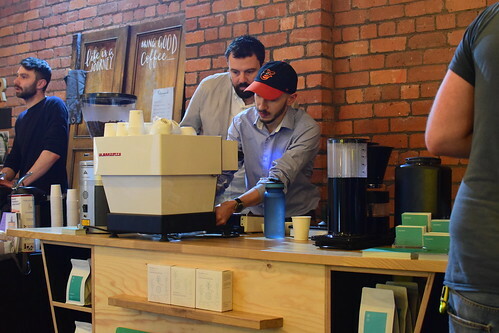 It’s been suggested that specialty coffee is one of the first steps in the gentrification of a place, but it’s worth noting that it’s usually one of the first steps in the modernisation of a place and often signifies a positivity that a given place is on the up. 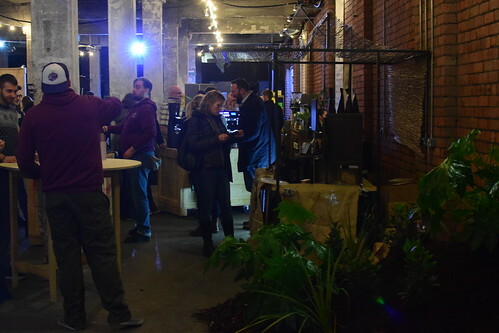 In recent years Margate has seen a revival and the beginnings of a burgeoning art scene and now it has a specialty coffee roasters to keep all those creatives contented and productive. Arriving at the stand we shared a couple of the filters while discussing all the promise of Margate and Curve’s plans to open a coffee shop in a new creative development. 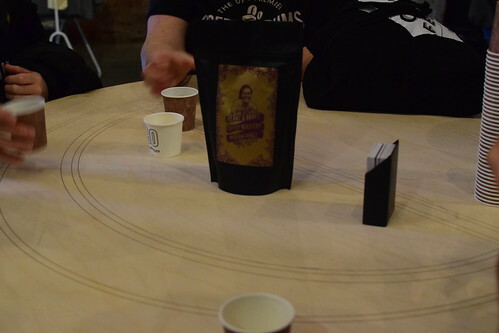 Both filters were noticeably smooth and particularly accessible, with the washed Kochere a nice change from the berry fruit forward naturals that are so common from this area. So, if you’re getting tired of London, enjoy the sea and you’re fond of the odd J.M.W. 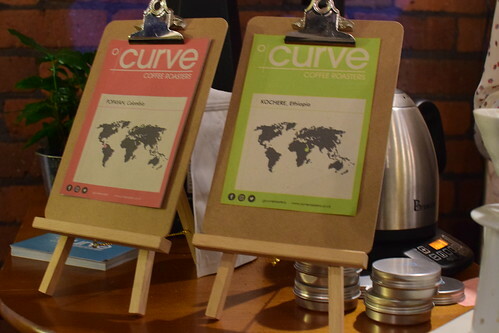 Turner, Curve Coffee Roasters might be the nudge you need to take the train over for a visit. 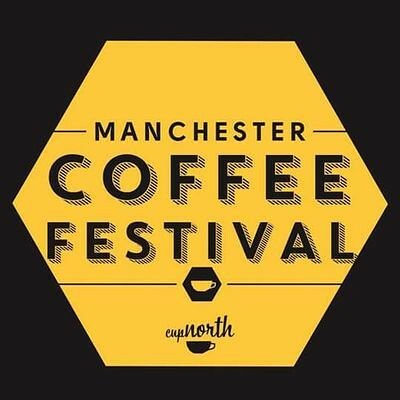 This entry was posted in coffee, Coffee Roasting, Coffee Tasting, Cup North, Espresso, Uncategorized and tagged Colonna Coffee, Cup North, Curve Coffee, El Fenix, Geisha, Heart & Graft, Manchester Coffee Festival, Origin Coffee by commoditiesconnoisseur. Bookmark the permalink.